The United Methodist Men cooked pancakes and all the fixin’s. The UMM honored local firefighters, first responders, law enforcement, game wardens and all others in the county that keep us safe. We had a nice turn out, including members of the local volunteer fire departments, police, sheriff, army airborne on leave and many others. Peggy & Albert proudly welcome Piper Ray. This makes Peggy’s mother, Frances, a great, great grandmother at age 90. We now have five living generations. Praise the Lord! Greeters Margaret and Wilmer Byers posed for our camera-girl before the 2015 Style Show and Luncheon got underway. The Byers’s friendly smiles greeted each guest, welcoming them as they entered the fellowship hall last Friday. The Grand Finale brings each model back into the Fellowship Hall following the second round of fashions. The fifteen lovely models garner another round of applause as they circle the room, returning to the stage with final words from our moderator, Donna Alexander. 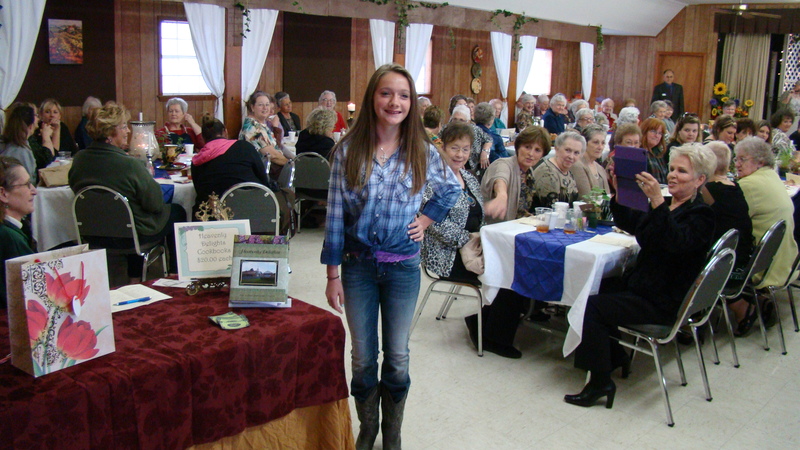 All eyes were on Miss Sophie Galloway as she modeled fresh, stylish fashions from PRIM’Z on the Square in Hemphill. This year’s United Methodist Women’s Style Show and Luncheon is slated for November 13, 2015, at the fellowship hall of First United Methodist Church at 181 Milam Street. Fashions will also be presented from other area boutiques: ‘Tis the Season, located in Hemphill, and Texas Star and Heartstrings both shops on the Square in San Augustine. Tickets are now available from any UMW member or at the church office. $15.00 reserves lunch and the beautiful style show presentation. Call Donna at 787-2183 for tickets and information. 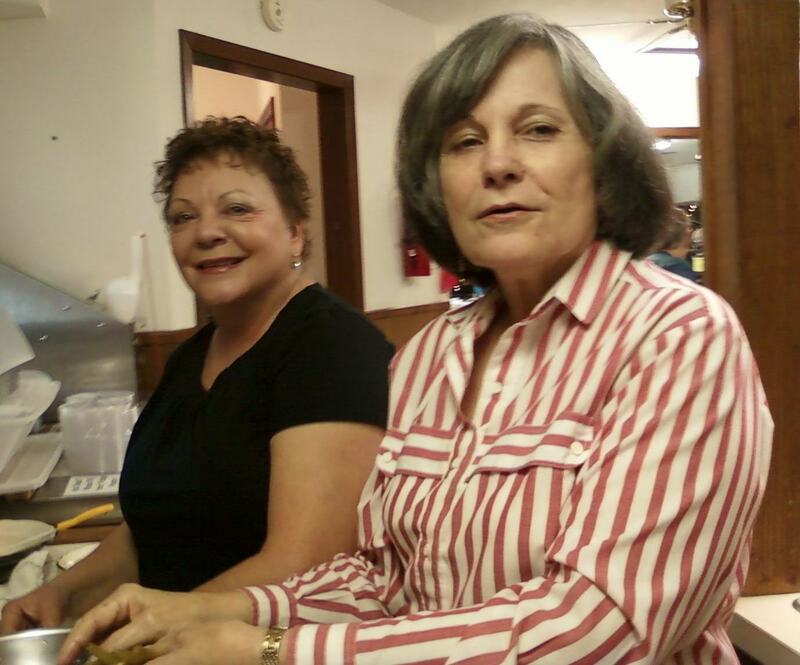 UMW members Shirley Bynum and Elizabeth Roberson are shown here preparing salads for the 2014 Style Show and Luncheon. This year’s UMW Style Show and Luncheon is set for November 13, 2015, beginning at 11:00 a.m. with the fashion parade beginning at noon. Tickets are $15.00 and are on sale now. Call Donna at 787-2183 at First United Methodist Church for information and to get your tickets. 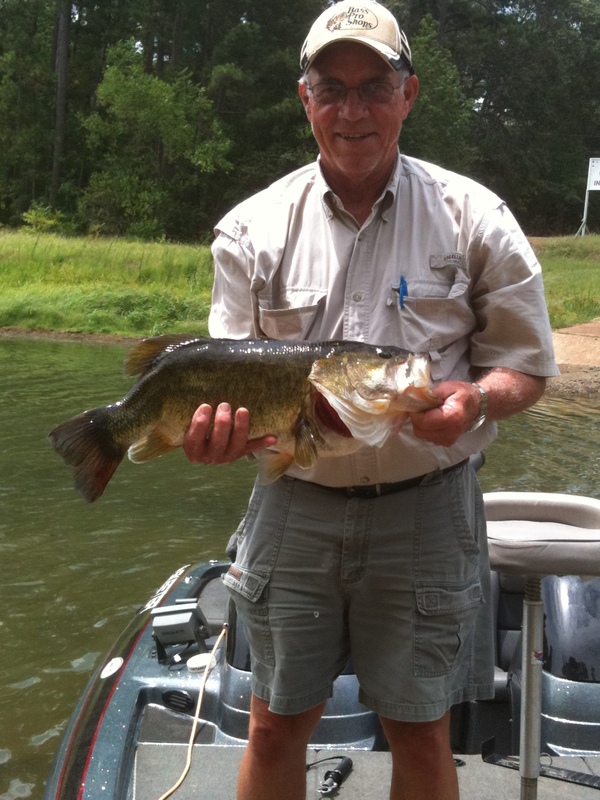 Jim caught this 8 1/2 lb, 22 inch Bass Wednesday. 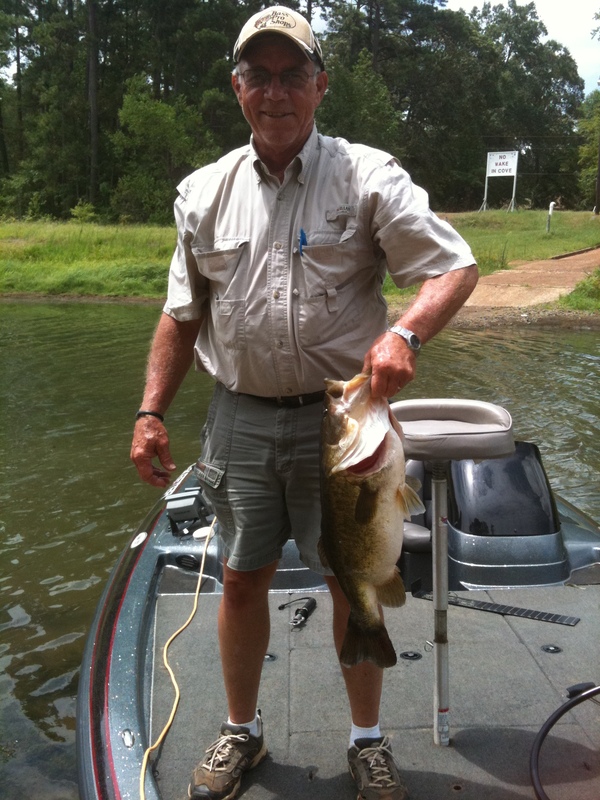 His grandson, Aaron netted the fish. A team effort. You are currently browsing the archives for the local pictures category.